Hey Greenies! 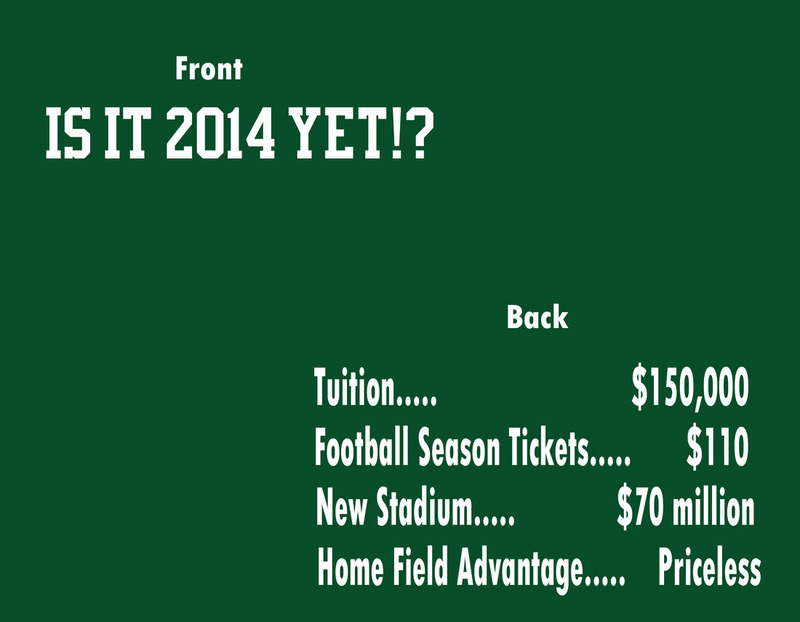 We're trying to come up with a t-shirt design that celebrates Tulane's new football stadium. We may even donate some of the proceeds from sales to the new stadium fund. Here's just one idea I had, but I welcome any and all opinions or design ideas. Please give us any and all feedback. Your feedback on our "Fear the Wave" Nike shirts was incredibly valuable. It's one of our best sellers now and if it wasn't for you guys, I probably would have chosen a completely different design. I like the shirt and idea. Maybe try to incorporate the checkerboard endzone pattern somewhere so it isn't just all text. If not, I still like the shirt as well.